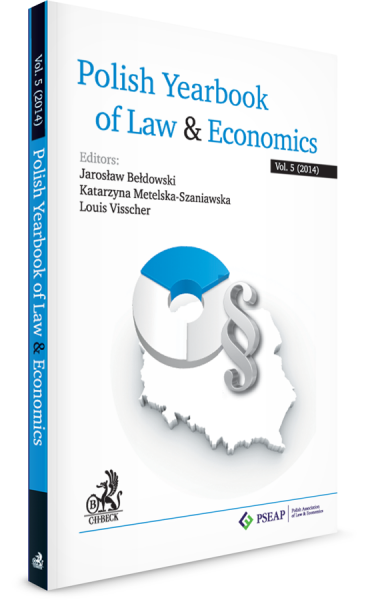 This fifth volume of the Polish Yearbook of Law & Economics contains a collection of articles selected, following a separate review process, from papers presented by Polish scholars at recent international and national conferences devoted to the Economic Analysis of Law. As the year 2015 marks the 10th Anniversary of the Polish Association of Law & Economics (PSEAP), this volume also includes a presentation of the Association’s history, as well as a contribution by the Honorary Member of PSEAP – Prof. Hans-Bernd Schafer. For the last decade Law and Economics has been steadily gaining recognition at Polish universities, giving rise to a generation of young researchers actively pursuing economic analyses of legal topics. This 5th volume of the Polish Yearbook, presenting mainly Works of young Polish authors interested in the field, on an array of topics, is a visible sign of this development. Prof. Leszek Balcerowicz, Warsaw School of Economics. This Yearbook, by grouping together publications prepared by Prof. Hans-Bernd Schäfer and young Polish academics is a great parallel for the rapid development of the law and economics movement in Poland. A must-read for any student, scholar, teacher or practitioner interested in law and economics or, indeed, one who wants to get acquainted with the appli cation of economic reasoning to the area of legal thought. Dr. Rafał T. Stroiƒski, Founder-Member and First President of the Polish Association of Law & Economics (PSEAP), lecturer at the Department of Law at University of Warsaw. 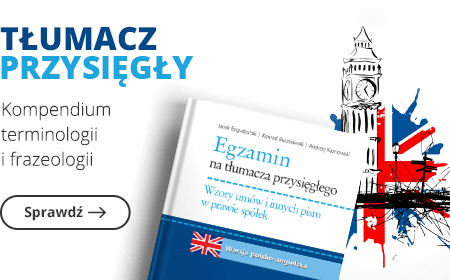 Polish Yearbook of Law & Economics Vol. 5 (2014) contains papers by scholars including: Prof. Hans-Bernd Schafer, Prof. Mariusz Golecki, Dr. Jarosław Kantorowicz, Anna Laszczyk, Izabela Prager, and Jacek Lewkowicz. Topics covered range from problems of legal sanctions, fiscal governance, and judicial activism, to pay-for-delay agreements, say on pay or determining a company’s executive remuneration, and Law and Economics of trade unions. The final Special Section is dedicated to the presentation of the first decade of the activity of Polish Association of Law & Economics, as well as accompanying reflections on the future development of this movement.